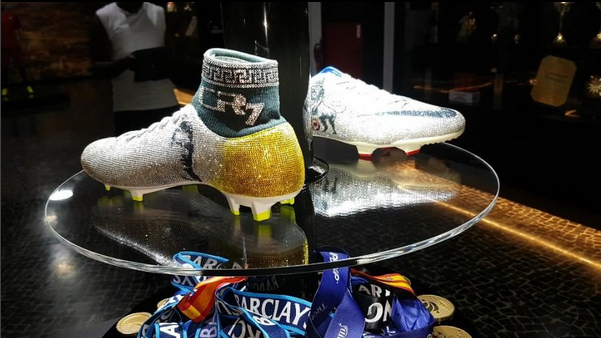 Have you seen the glittering boots of Ronaldo with Swarovski crystals? Off the field, Ronaldo is well-known for his luxurious possessions. From the incredible cars in his garage to the fancy underwear in his wardrobe, his properties are as luxe as it gets. And, to top it all, like many other sportsmen, this soccer player has a thing for shoes! He has owned some of the most exclusive designs of boots designed exclusively for him. 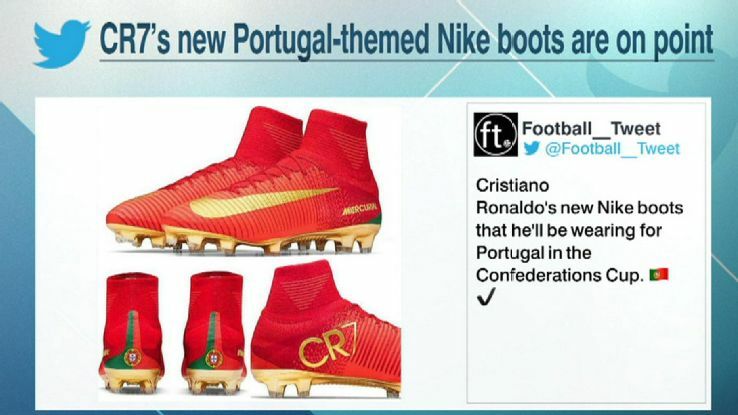 Only recently, he had an amazing pair of boots designed by Nike to play in while he was representing his country Portugal in Russia in the Confederations Cup tournament. 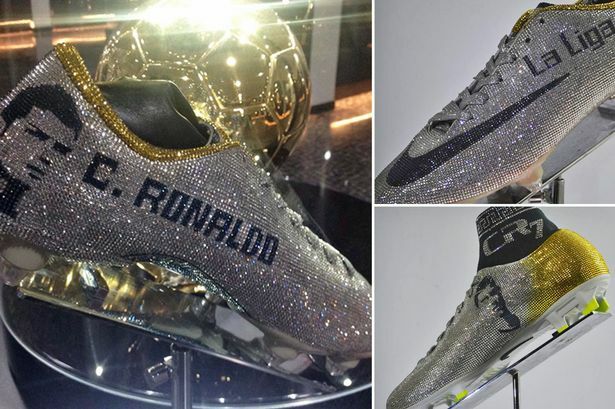 This exclusive pair was not even available in the market for us puny humans, but was specifically for Ronaldo. 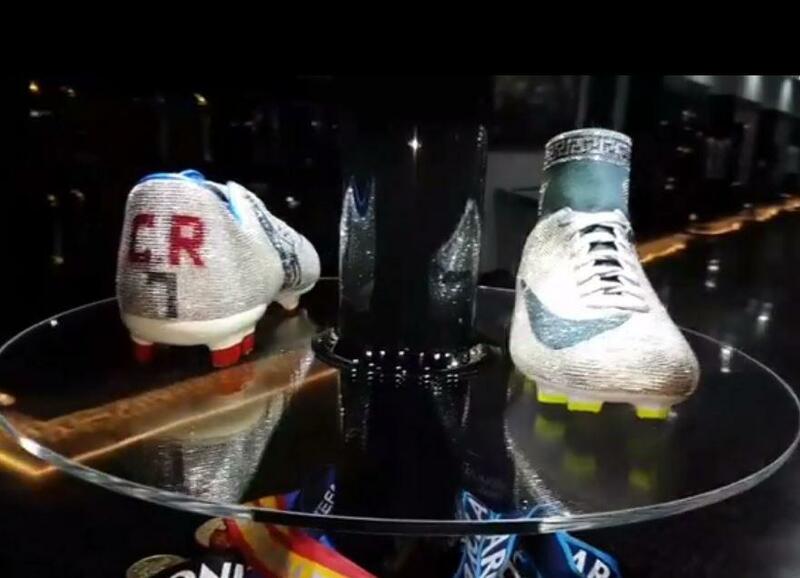 And now, Ronaldo has yet another stunning pair of boots, made to commemorate his career so far in soccer. This one-of-a-kind pair of custom boots is studded with Swarovski crystals. They are just awe-aspiring and mesmerising to look at! You may find them lavish and outlandish, but the idea behind the design was to raise a toast to Ronaldo’s performance and contribution to both the Premier League and the La Liga history. And, an acknowledgement of Ronaldo’s amazingness obviously has to be luxurious and pompous! The creative mind behind this pair belongs to Daniel Tokunbo. Three such pairs have found a place at the Cristiano Ronaldo museum in Funchal in Madeira, the place in Portugal where the football player grew up in. They are now on display in this museum, alongside his other awards and accolades. 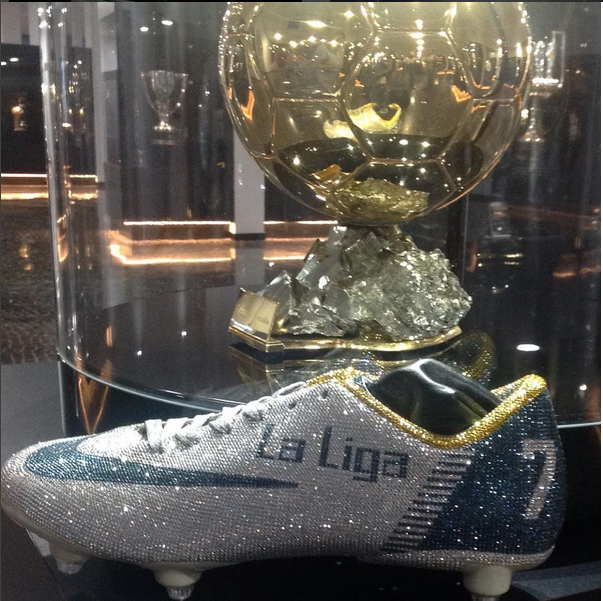 There are two different designs of the La Liga boots, rendered in white and gold, i.e. the colours of Real Madrid. 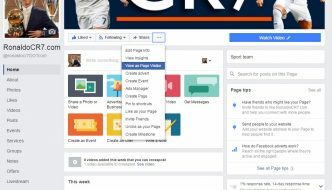 The Premier League model bears the trademark initials of the player, i.e. CR7, and the recreated version of the traditional lion logo of the league. Is it really a coincidence that so glittery is meant to honour the works of a man with such a bright career? Perhaps not. 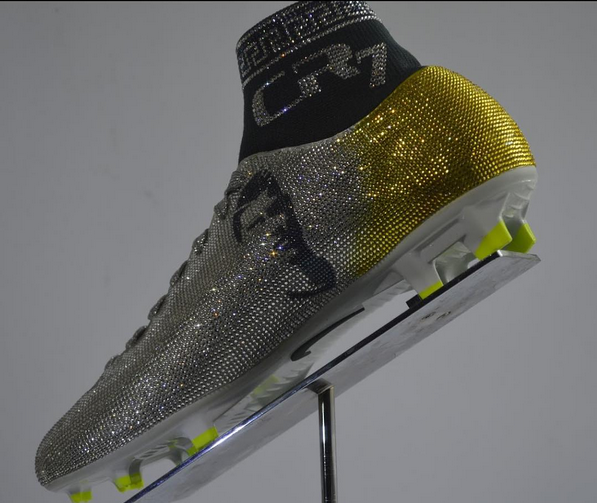 Take a look at the boots with Swarovski elements, designed for Cristiano Ronaldo.